Home » How Do We Know that Jesus Was Not Married? How Do We Know that Jesus Was Not Married? This is a brief summary of a longer, heavily documented article, “Was Jesus Married?” (Part 8 in the series “The Bottom-Line Guide to Jesus”). Utah Mormons in the second half of the nineteenth century, who practiced polygamy, argued that Jesus had multiple wives as well. Since the LDS Church abandoned polygamy in the early twentieth century, most members no longer claim that Jesus practiced it, but many (not all) continue to think he was married. 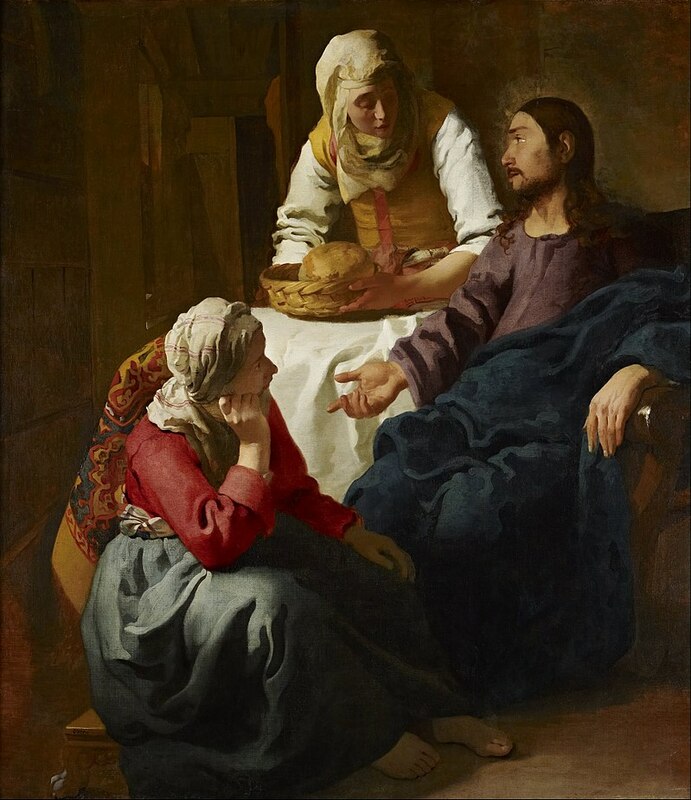 William Phipps, who argued in the 1970s that Jesus was married, claimed that the Resurrection was a legend that began when his widow Mary Magdalene had a vision or experience of his continued presence with her. Since the early 1980s a spate of conspiracy books, most notoriously The Da Vinci Code, have claimed that Jesus and Mary Magdalene had been married and that their child or children were the beginning of a royal bloodline in medieval Europe. As has already been noted, the New Testament does not say explicitly whether Jesus was married. As New Testament scholar Ben Witherington has remarked, “That Jesus’ marital status is a nonissue in the Gospels probably indicates that he was never married.”2 Those who think Jesus was married object that the Gospels fail to mention other things about Jesus, such as whether he laughed or smiled, but we would not infer from this silence that he never did those things. This is not a strong objection, since the lack of any mention of Jesus smiling or laughing is unremarkable in a way that the lack of any mention of his having been married is not. The difference becomes obvious when one observes that most advocates of a married Jesus argue that the facts about his marriage were suppressed by the early church. It is one thing to claim that the question of Jesus’ marital status was so insignificant to early Christians that the Gospel writers had no reason to mention his wife. It is quite another thing to claim that early church leadership viewed Jesus’ marriage as so embarrassing or threatening to their agenda that they deliberately suppressed the facts. Once the idea of Jesus being married is placed in the context of an elaborate conspiracy theory about the origins of the Christian movement, the burden of proof shifts entirely to the side of those advocating such a theory. Christians who believe that Jesus was unmarried do not shoulder the burden of proof to demonstrate that Jesus did not leave behind a wife and children who traveled to France and created a royal bloodline. Historians and biblical scholars representing a wide spectrum of beliefs from conservative Christian to agnostic skeptic have thoroughly examined and refuted the conspiracy theories of The Da Vinci Code and similar works.3 One is hard-pressed to find any scholars outside the small circle of those inventing these stories who think they are at all credible. Essentially, what the authors of these “Jesus conspiracy” books do is to cherry-pick pieces of information from a dizzying variety of sources from the Bible to medieval art, ignore or misconstrue the contexts in which they appear, and piece them together in an imaginative narrative that sounds convincing but for which there is no real evidence. With regard to the supposed marriage of Jesus to Mary Magdalene, what all these conspiracy theories do is a kind of shell-game argument: present plausible-sounding arguments that Jesus was at some time likely or probably married to someone, then shift to claiming that Jesus was married to Mary Magdalene, that the early church suppressed this fact, and from there spin the extremely implausible claims about Christianity starting off as a political movement centered on the royal family of Jesus. Although the New Testament does not mention Jesus having a wife, this omission is not because it ignores his family. At least a dozen individuals related in various ways to Jesus are mentioned in the New Testament writings, including his mother Mary, his (adoptive) father Joseph, his four brothers (James, Joses, Jude, and Simon), two (or more) unnamed sisters, an uncle named Clopas or Cleopas and an aunt named Mary, and Jesus’ relatives Elizabeth and Zacharias and their son John the Baptist (see especially Matt. 1–2; Luke 1–2; Matt. 13:55-56; Mark 6:3; Luke 24:18; John 19:25).4 Yet we find no references to a wife or to any child or children of Jesus in any of the New Testament writings. Indeed, we do not find any such references in any texts from the early centuries of Christianity—not even one. It is sometimes suggested that the Gospels failed to mention Jesus’ wife because of their general neglect of women stemming from patriarchal bias. This claim should come as a surprise to anyone who has read the Gospels, in which women play prominent roles in various contexts. We have already seen that the Gospels refer frequently to Jesus’ mother and mention his sisters and at least two other female relatives. Eight of the miracle accounts focus on one or more females, such as the synagogue ruler’s daughter and the woman with the blood flow (Matt. 9:18-26; Mark 5:21-43; Luke 8:40-56). The Gospels recount Jesus’ interactions with women in other contexts, sometimes at length, as in the famous accounts of the “sinful” woman (Luke 7:36-50), Jesus in the home of Mary and Martha (Luke 10:38-42), the woman at the well in Samaria (John 4:7-29, 39-42), and the woman who anointed Jesus (Matt. 26:6-13; Mark 14:3-9; John 12:1-8). The Gospels identify by name at least seven women who were followers or supporters of Jesus’ ministry and who are not identified in the New Testament or in any other ancient texts to have had any family ties to Jesus: Mary Magdalene, Joanna, Susanna, the sisters Mary and Martha, Mary the mother of James the Less and of Joses, and Salome. Mary Magdalene is mentioned in the Gospels as often as Simon Peter’s brother Andrew (12 times) and more often than Thomas (10 times). The fact that the Gospels give so much attention to women among Jesus’ family and followers without ever mentioning a wife makes it likely that Jesus was not married. The Gospels tell us that Mary Magdalene was one of a group of women from Galilee who followed Jesus in his itinerant ministry (Matt. 27:55-56; Mark 15:40-41; Luke 8:1-3; 23:49; 24:10). One of those women, Joanna, is identified as the wife of another man (Chuza, Herod’s steward, Luke 8:2). Jesus had healed the women, and in return they traveled with Jesus and the apostles and helped to support them financially from their own monetary resources (Luke 8:1-3). This information does not square with the notion that Jesus and Mary were husband and wife. According to the Gospel of John, when Mary Magdalene saw Jesus after his resurrection, she cried out, “Rabboni!” (John 20:16). Rabboni is an Aramaic title meaning, as John explains, “teacher”; it is related to the word rabbi. Presumably, if they were married, Mary would not address her husband as “teacher”—especially when first seeing him risen from the dead! Since the idea of Jesus and Mary Magdalene as married will not fit the New Testament Gospels, most writers who advocate for this claim appeal to later “gospels” in support, specifically the Gospel of Mary and the Gospel of Philip. These are Gnostic texts from the late second century or possibly (in the case of Philip) the early third century. No one thinks the first-century persons Mary and Philip wrote these books and they are not considered reliable historical sources of information for the life of Jesus. Furthermore, neither book says or implies that Jesus and Mary Magdalene were married. The Gospel of Mary invents stories in which Mary lectures the male disciples about spiritual things and the men admit that the Savior “loved her more” than them.5 The book presents Mary Magdalene supposedly sharing secret knowledge imparted by Jesus that his followers were to abandon physical desire and become perfect men whose souls ascend beyond the confines of the physical. In this context, the book portrays Mary as closer to Jesus spiritually, not physically, than the others. These ideas are not found in the New Testament, but in any case they do not support the claim that Jesus and Mary were married. Similarly, the Gospel of Philip states that Jesus used to kiss Mary often and quotes the men as asking, “Why do you love her more than all of us?”6 If the author (or the disciples) really thought that Mary was Jesus’ wife, why would it represent anyone asking such a silly question? Thus, if anything, this text attests to a different sort of relationship between Jesus and Mary Magdalene than that of husband and wife. The “kissing” refers to the typical Middle Eastern practice of kissing one’s relatives, here a means of expressing spiritual union—not marital union. Understanding Jesus’ mission and the way he viewed his relationships with other human beings strengthens the conclusion that Jesus was single. He understood his mission as that of bringing other people into a spiritual family in which all believers were children of God (e.g., Matt. 5:9, 16, 45; 6:8-9; 7:11; 23:9; Luke 11:13; cf. John 1:12) and related to one another as brothers and sisters (see especially Matt. 23:8). Even his own blood relatives had to understand that for Jesus, God was his Father and all of his followers were his “family.” This was the point of his famous saying, when he was told that his mother and his brothers and sisters were waiting to see him, that “Whoever does the will of God is my brother and sister and mother” (Mark 3:33-35). This conclusion that Jesus chose not to get married in light of his mission is reinforced by the Gospels’ many reports that Jesus fully expected to be killed (e.g., Matt. 16:21-28; 17:22-23; 20:17-19; John 2:19-22; etc.). Jesus stated that he had come to give his life as a ransom for many (Matt. 20:28; Mark 10:45). A man who sees himself on a mission that he knows will result in his early death is unlikely to pursue having a regular family. In the context of his mission, it simply would not have been appropriate for Jesus to have gotten married and had children. Although the evidence rather clearly shows that Jesus was not married, this is not the most important fact about him. What is important is that speculative conspiracy theories not be allowed to obscure the central facts about Jesus: that after proclaiming the kingdom of God and demonstrating God’s power and mercy through his miracles and relationships with other people, Jesus died on the cross and then miraculously rose from the grave. Ironically, this is the real significance of Mary Magdalene, as she was an eyewitness to his miracles (which she had experienced personally), to his death and burial, and to his resurrection (Luke 8:2-3; 23:55-56; 24:1-10). Jesus came, not to start a natural family, and not to start a dynasty, but to reconcile people to God for life in his coming eternal, glorious kingdom. 1. Source documentation for these and other points are given in the longer version of this article, online here: http://bib.irr.org/was-jesus-married. 2. Ben Witherington III, Women in the Ministry of Jesus (Cambridge: Cambridge University Press, 1984), 151 n. 170. 3. E.g., Bart D. Ehrman, Truth and Fiction in the Da Vinci Code: A Historian Reveals What We Really Know about Jesus, Mary Magdalene, and Constantine (New York: Oxford University Press, 2006); J. Ed Komoszewski, M. James Sawyer, and Daniel B. Wallace, Reinventing Jesus: How Contemporary Skeptics Miss the Real Jesus and Mislead Popular Culture (Grand Rapids: Kregel, 2006). 4. See Richard Bauckham, Jude and the Relatives of Jesus in the Early Church (Edinburgh: T&T Clark, 1990); Gospel Women: Studies of the Named Women in the Gospels (Grand Rapids: Eerdmans, 2003). 5. “The Gospel of Mary,” in Bart D. Ehrman, Lost Scriptures: Books that Did Not Make It into the New Testament (Oxford and New York: Oxford University Press, 2003), 36-37. 6. “The Gospel of Philip,” in Ehrman, Lost Scriptures, 42.